Inside Reads: Happy Birthday You Old Schitt. Hooray for homonyms! 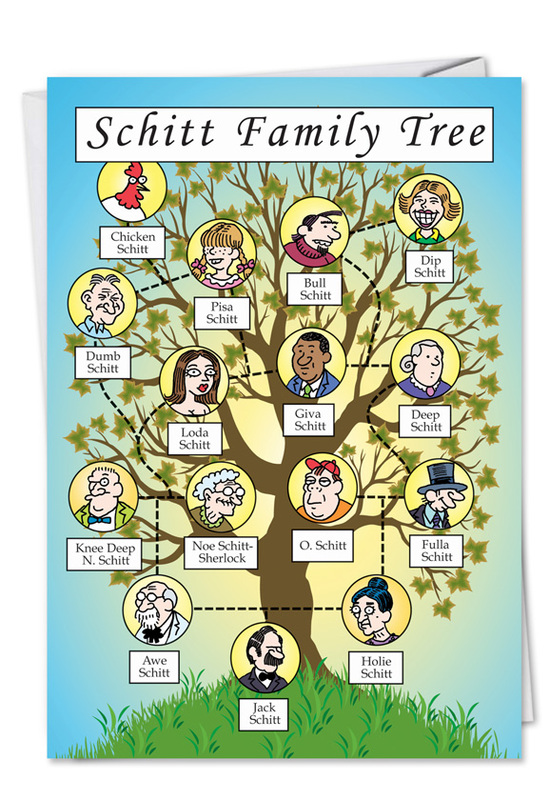 This genius family tree is brilliantly drawn by the twisted Daniel Collins, who introduces every member of the Schitt family, including Fulla Schitt, Jack Schitt, Dip Schitt and Bull Schitt. 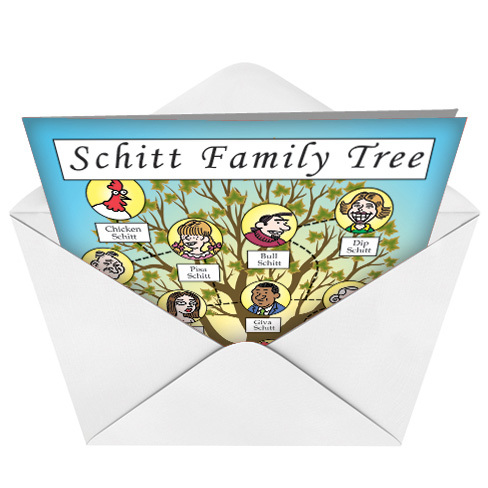 This handy piece of genealogical research will prove that we have all mentioned Schitt family members by name at one time or another, so it's nice to have all of them on one card at the same time. And we're pretty sure that tree grows on the banks of Schitt Creek. This funny birthday card is one of many you'll find at NobleWorks Cards. It's printed on recycled paper so that you don't have to rip up real trees to show this family tree. 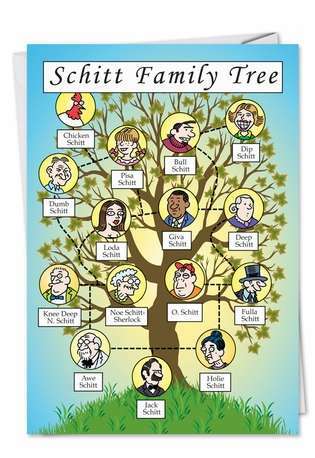 And it's perfect for your Schitt-talking friends who can't get enough of this Schitt.